How do I set different permissions? Permissions are determined via user roles and the ownership of objects. By default, the “owner” is the creator of a group, task, etc. The role of group owner can be passed to another group member, thus enabling SOUL users to invite/add users and modify group settings. SOUL guests are therefore afforded the opportunity solely to make adjustments to sub-objects (themes, tasks and task lists, appointments and file folders). Similarly, ownership can be passed within objects (tasks, themes, appointments, …) – for example, when a person leaves the project. How can I represent projects in SOUL? There’s no one definitive answer for this: Some people define groups as projects, others create a separate task list for each project. Some people focus more on the exchange of data, others on communication. What’s the best way to get started once the initial setup wizard is complete? We’ve found that a good way to get started is to create 1-2 test groups in SOUL, thereby enabling users to familiarise themselves with the various functionalities in a relaxed setting. Where required, this process can be supported by our training videos and/or use cases. After this, you can get started with your first “real” group or begin to explore the individual functions, e.g. shared task lists with multiple participants. Maintenance password – what is it for? The maintenance password is like a master key to the Protonet box. In the end of the setup assistant, when the web address has been set successfully, it is generated as a random value without being displayed and we at Protonet do not know it. For maintenance reasons and as a general precaution the box owner should generate a maintenance password and store it in a secure place like a password manager. The maintenance password is necessary to access the server when software or hardware need to be analysed by support. SOUL administrators can generate a new maintenance password via System settings > Maintenance. Each maintenance password is only valid until a new maintenance password is generated or set manually. On the command line, the command masterpassword can be used to set a custom maintenance password manually. This password is valid for the user protonet. 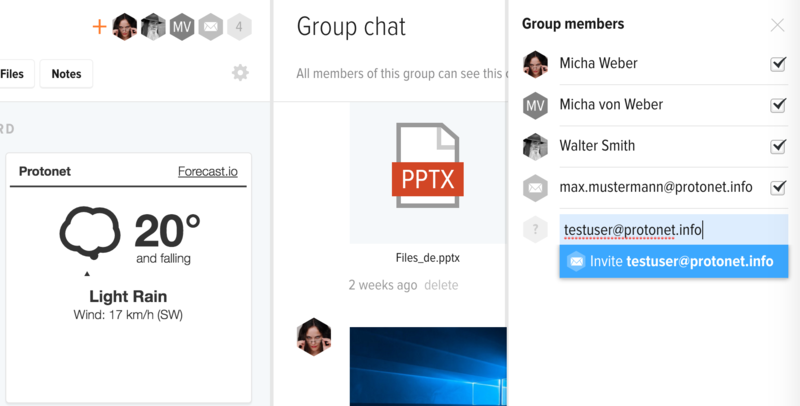 You add users by inviting them to a group or – if already registered within the Protonet solution – add them directly. There is no dedicated user account management where users are created. 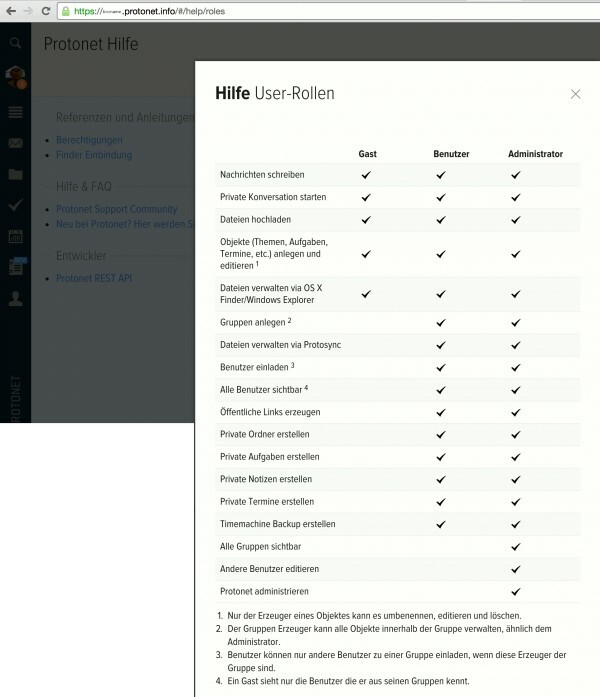 Administrators and users with role “user” are able to see any registered persons on the “People” tab. Protonet SOUL is a web application, which is constantly being maintained and optimized using the latest web technologies and standards. Therefore, the use of a current Internet browser is essential to use all the features of Protonet SOUL. In case you are experiencing any issues, please check if your web browser is up to date or if there is any plug-in oder personal firewall blocking any browser features. Video calls require Chrome, Firefox or Opera since other browsers do not yet support the necessary technology (WebRTC).